Flip Out Mama: Baby Shower Bash Sponsor #24: PediaCare! Our next Baby Shower Bash Sponsor is a company that is a household name among parents of young children. 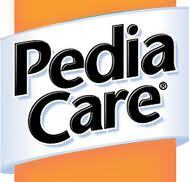 PediaCare has been helping kids feel better since 1984, and now they are helping babies feel better too with their new Infant Care products! I can't wait to tell you guys all the wonderful things they offer to help your little one feel better! Look for a feature post on PediaCare coming soon!